NSEF was able to award these amazing teachers (and others not pictured) with funds to use towards furthering their education to be able to offer concurrent enrollment courses to our students. We are so proud of our teachers and students for pushing themselves towards their educational goals! The next 50 people who purchase tickets to our annual fundraiser on November 2nd will receive a complimentary drink ticket at the event!! You may purchase your tickets here. 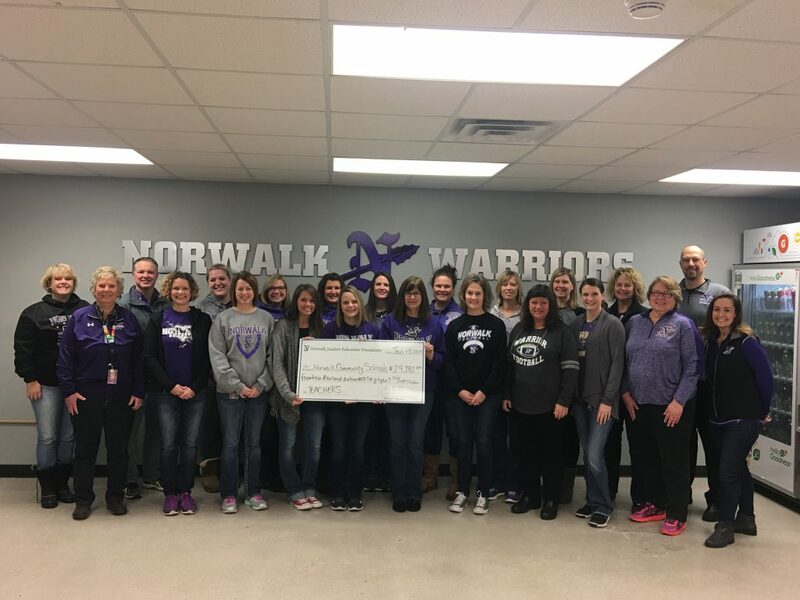 Thank you for your continued support of Norwalk students and teachers! Enjoy an adult evening out at the NEW Carper Vineyard and Winery in Norwalk, with hors d’oeuvres provided by local businesses. Doors open at 5pm. There will be music and a silent auction until 7pm, followed by a presentation and live auction. All profits and donations are designated to NSEF, a nonprofit organization dedicated to Norwalk schools. Our Mission Statement: The Norwalk Student Education Foundation (NSEF) is an independent community organization dedicated to provide resources to enhance educational experiences and opportunities for the students in the Norwalk schools. SAVE THE DATE! Join us for the annual Norwalk Student Education Foundation fundraiser at a NEW location at the NEW Carper Vineyard and Winery in Norwalk on November 2nd. Tickets will be going on sale soon! We hope you can come help support our community! 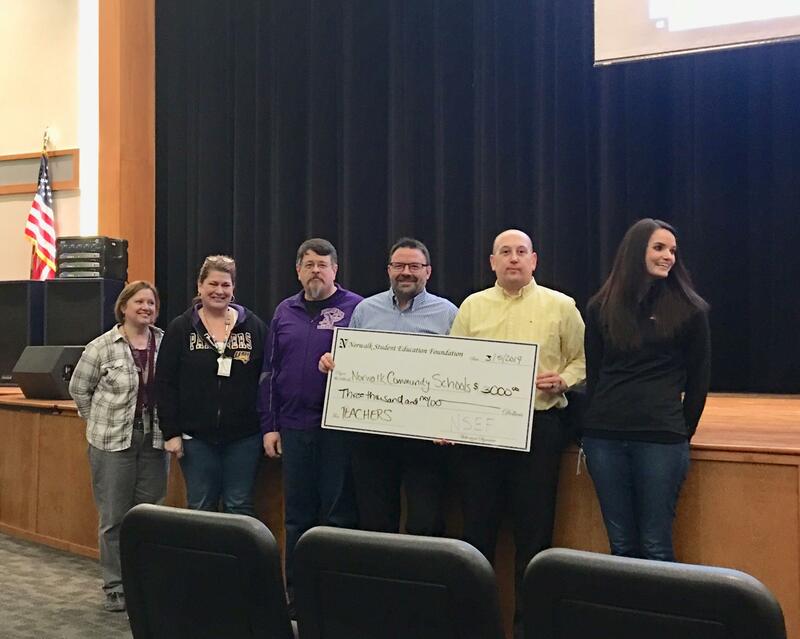 The Norwalk Student Education Foundation just awarded over $14,000 to 28 teachers in the Norwalk School District. Each of these teachers submitted a wish list item they thought would benefit their students or the district as a whole. As you can see, the foundation was able to fulfill a variety of requests impacting countless students and subject matter. The Norwalk Student Education Foundation relies on donations from our supporters so that we can in turn give back to the teachers and students of the Norwalk community school district. Your contributions to the foundation allow our district to reach beyond budget limitations and provide further educational opportunities for our students. The Norwalk Student Education Foundation and Norwalk Community School District would like to extend our thanks once more to our donors and advocates. We appreciate your continued support! If you are interested in learning more about our foundation or your donation options, please contact us today! 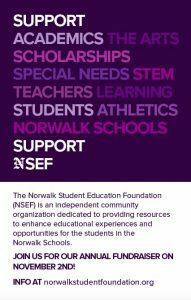 The Norwalk Student Education Foundation (NSEF) is an independent community organization dedicated to provide resources to enhance educational experiences and opportunities for the students in the Norwalk Schools.